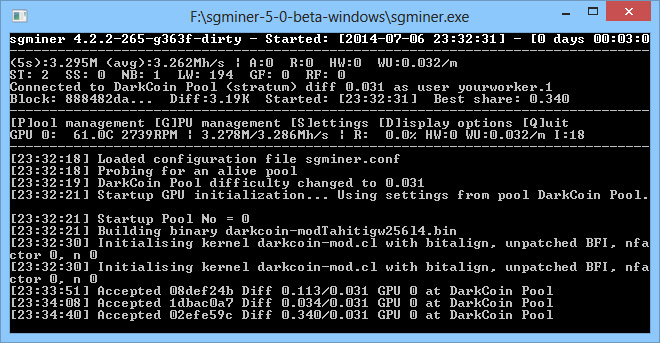 We have compiled a windows binary of the new sgminer 5.0 beta based on the latest (source) and you can download and try it yourself from the link below. The sgminer 5.0 beta is trying to provide an unified and feature-full GPU miner by integrating the kernels for mining various crypto currencies in a single miner, including support the latest algorithm – X14, also do note that the X15 kernel is called bitblock for example. Furthermore the software tries to implement the option to use runtime-kernel-switching on the fly between crypto currencies using different algorithms, though this is something that needs some more work. This way a single GPU mining rig can mine for different coins using different algorithms at the same time, or have these pools as failover etc. No need to use a different miner for different pools and for different coins anymore, or at least you may not have to when the software becomes a bit more stable and reliable. A bit of warning though, this is still a beta version, check the DOC folder for more information about the new features if you still haven’t tried the sgminer 5.0 beta. 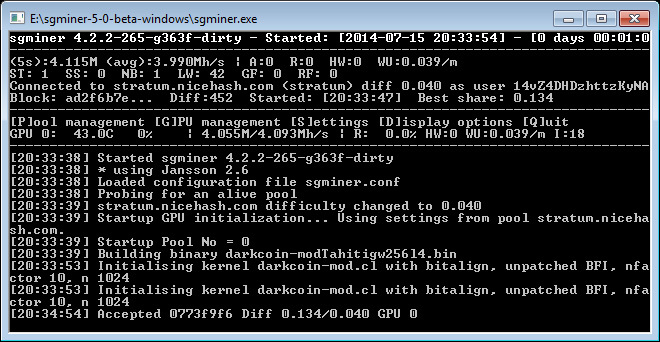 We have compiled a windows binary of the new sgminer 5.0 beta based on the latest (source) and you can download and try it yourself. 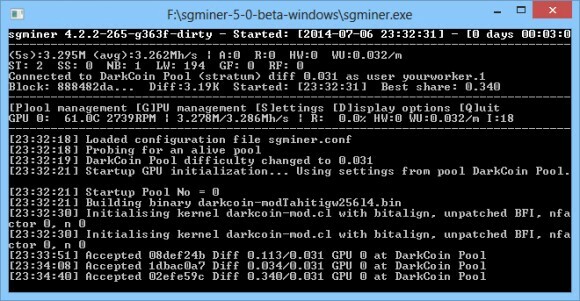 The sgminer 5.0 beta is trying to provide an unified and feature-full GPU miner by integrating the kernels for mining various crypto currencies in a single miner. Furthermore the software tries to implement the option to use runtime-kernel-switching on the fly between crypto currencies using different algorithms. 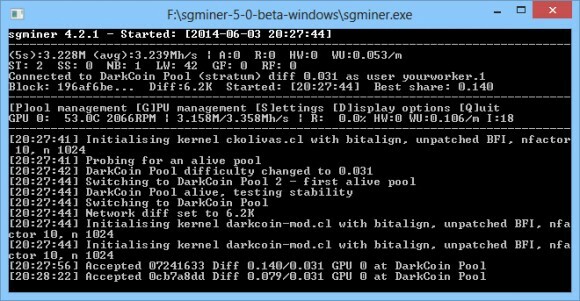 This way a single GPU mining rig can mine for different coins using different algorithms at the same time, or have these pools as failover etc. No need to use a different miner for different pools and for different coins anymore, or at least you may not have to when the software becomes a bit more stable and reliable.